Though the medium almost died in the mid-Aughts, instant cameras are now more advanced and more affordable than ever. Some even have Bluetooth. It’s still hard to take a perfect photo with one of them, but that’s part of the fun. 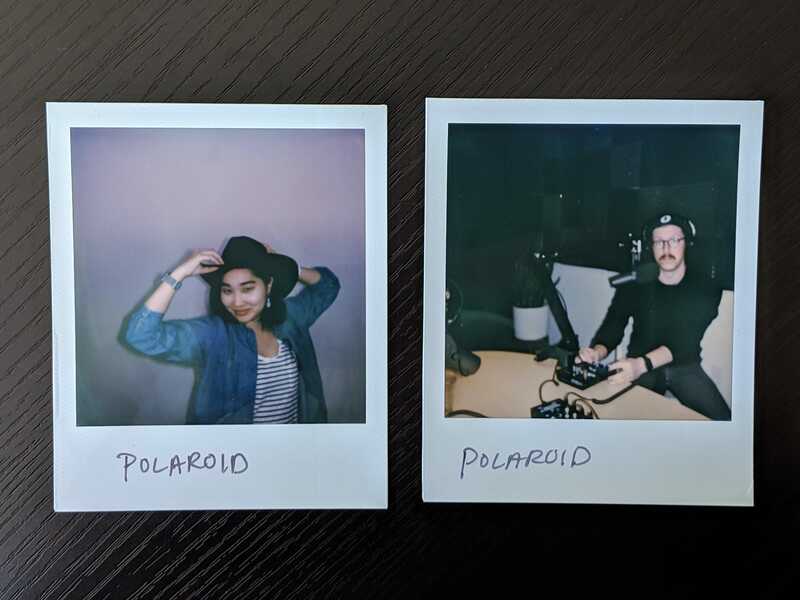 For the record, you no longer need to shake Polaroids. 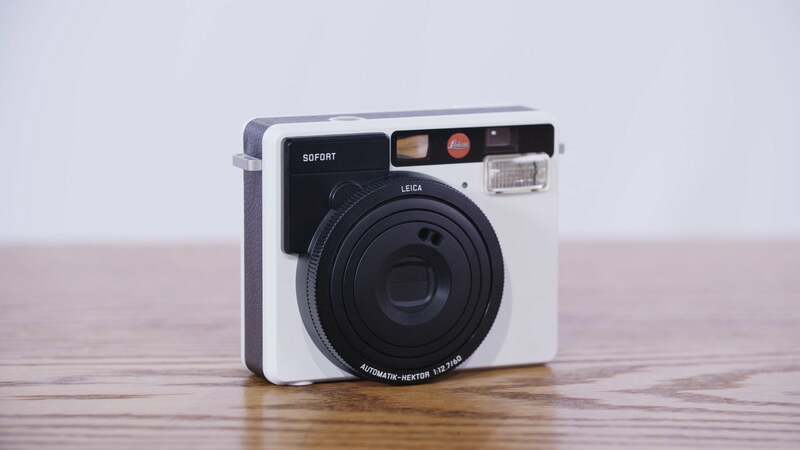 You do need to pay attention to the different film formats, however, because the newly resurrected camera brand now faces tremendous competition from Fujifilm and the wide range of cameras that use its Intax and Instax Square film. 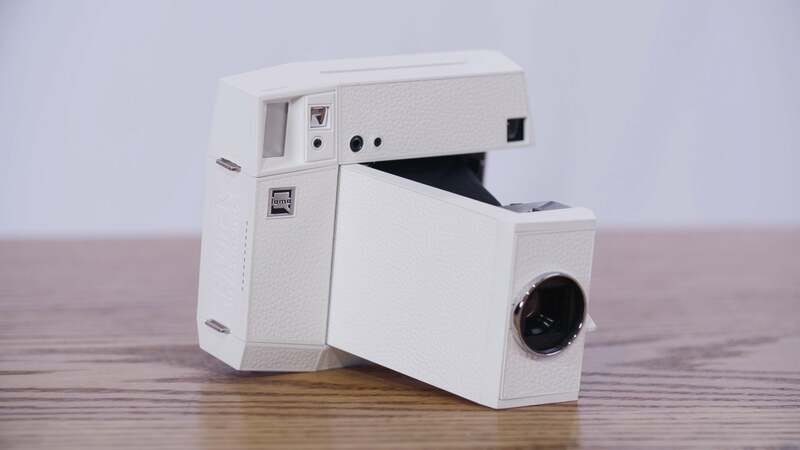 We picked the most popular cameras in all the different film formats: the £150 Polaroid OneStep Plus, the £275 Leica Sofort, the $190 (£150; UK pricing and availability TBA)Lomo’Instant Automat Glass, the $200 (£158; UK pricing and availability TBA) Lomo’Instant Square Glass, and the £105 Fujifilm Instax Square SQ6. Although they use different film formats and range in prices, all of these cameras have very similar feature sets. So we put the cameras through three battles—design, indoor photography, and outdoor photography—to see which one does it all best. Unlike almost any digital camera you might buy, some instant cameras double as fashion accessories. But a pretty camera is just a big beautiful paperweight if it’s not great at taking photos. Good design, in this case, is all about usability. How hard is it to turn on the camera and take a photo? How hard is it to adjust settings so that your photos look good? Does the camera even have settings? These are all fair questions. The camera models we picked for this Battlemodo all have a range of settings. That’s why we picked them over some cheaper models like the Fujifilm Instax Mini 9, which you can buy at Urban Outfitters for €105 (£95). The cameras we tested are more expensive, but they’re also more versatile. 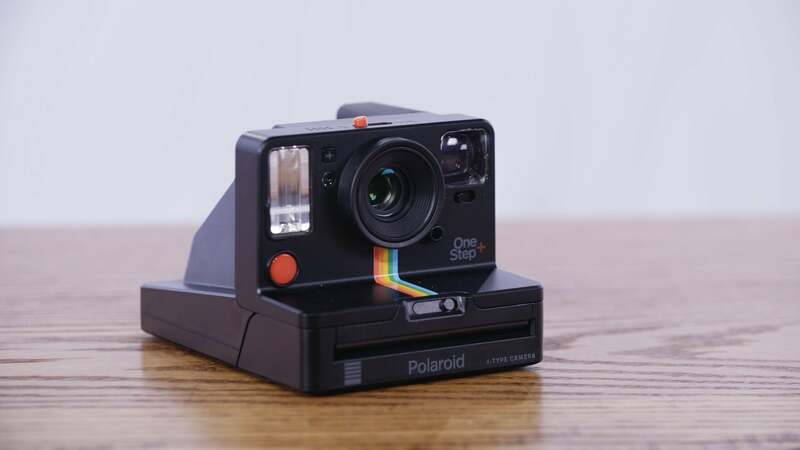 The Polaroid, for instance, lets you apply settings and filters through a smartphone app and a Bluetooth connection. The Leica Sofort has a handy LCD so that you can select different modes, timers, and flash options. 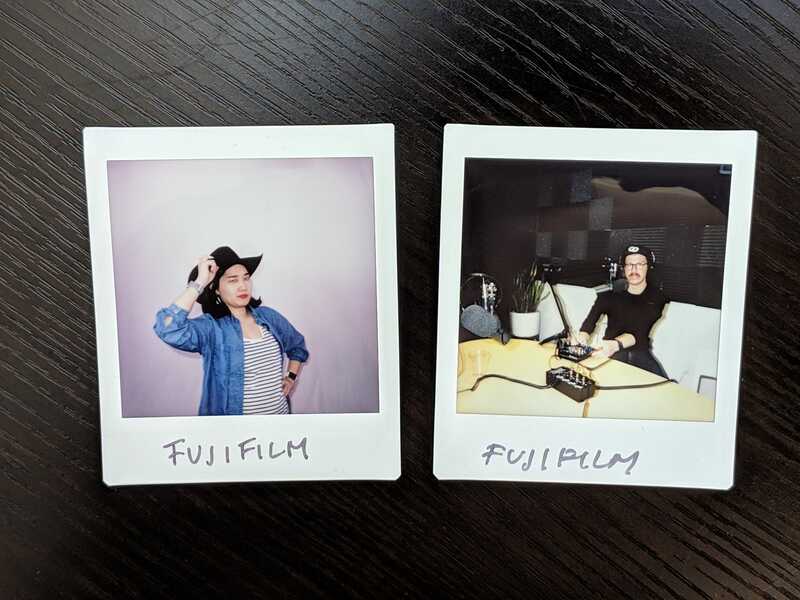 The Fujifilm Instax Square SQ6 offers the same range of modes but uses a simpler and potentially more elegant series of lights to tell you what options you’ve selected. The SQ6 was also the easiest to turn on and start shooting. 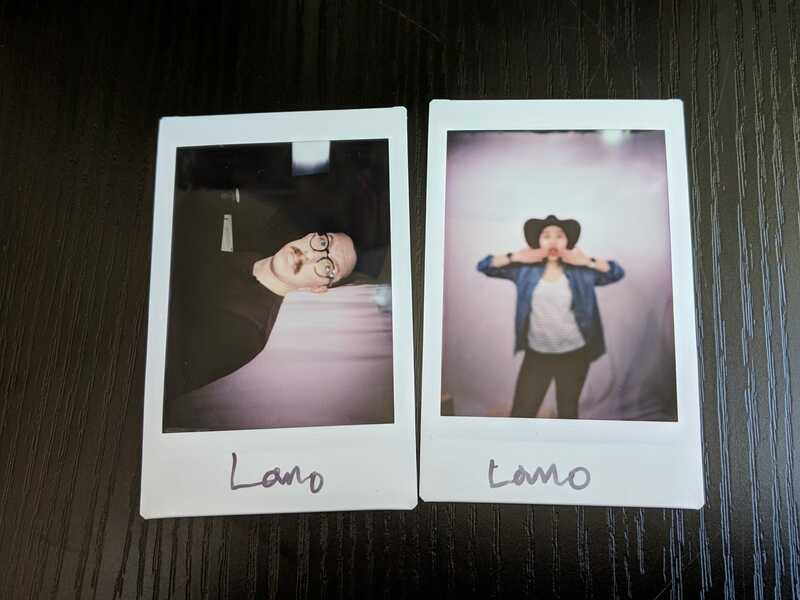 Less elegant were the models from Lomography, the maker of the Lomo’Instant cameras. These were arguably the most interesting-looking devices, but little about the actual operation of them was intuitive. 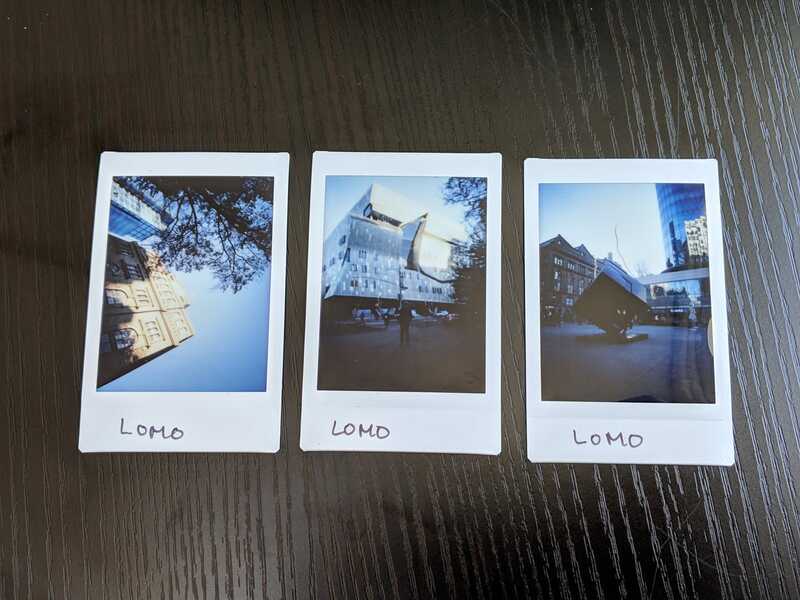 For instance, you have to unfold the Lomo’Instant Square to take a photo, yet it’s not at all obvious how to do that or how to fold it back up. The Lomo’Instant Automat Glass was also hard to turn on and off, as all of its controls were sort of hidden on a twisting ring around the lens. So, in effect, it felt like the Lomo cameras traded hip looks for awkward controls. The Polaroid OneStep Plus suffered from a similar fate. It just wasn’t that fun or easy to use. In the end, this battle was a close call between Leica and Fujifilm. As handsome as the Leica is, though, the Fujifilm is undeniably easier to use, and it has just as many features as the much more expensive Leica. Our other two battles focused solely on taking photos with these cameras. We started with outdoor photos, which some instant camera owners will never do. Instant cameras are great for indoor parties! However, you can also get some interesting cityscapes and nature shots if the conditions are right. The conditions for us were cold. 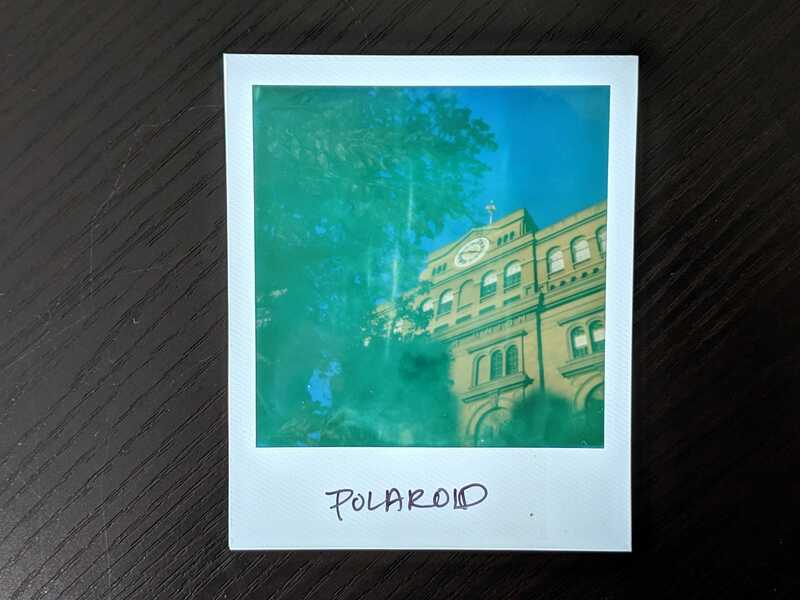 We walked around the city and tried to act like tourists, which was fun until we were reminded of some realities that instant cameras face. Polaroid film is sensitive to temperature, so pretty much none of those photos developed correctly. So Polaroid failed in this battle pretty quickly. Meanwhile, both sizes of Instax film are susceptible to bleeding if you don’t let them develop enough before stashing them in a pocket. That happened to us, although the damaged effect was pretty cool. 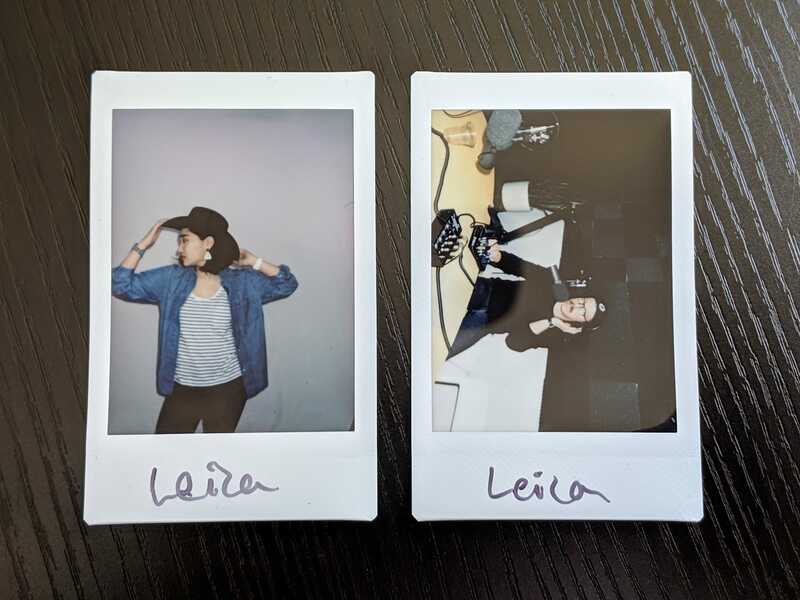 From the photos that turned out well, it was pretty obvious that there was another split between the Lomo’Instant cameras and the Leica and Fujifilm cameras. The Lomo cameras created quirky-looking photos with curious colour palettes and a consistent vignette effect. It was almost as if someone put an Instagram filter on the regular physical photos, which might be appealing to some people. Other people might just think they look bad. The Leica and the Fujifilm cameras were our favourites because they were the most consistent. There was little guessing about whether we’d gotten a shot in uneven lighting. Also, thanks to the easy settings, it was easy to figure out the focus. In the end, however, the Leica had a clear edge on the cheaper Fujifilm camera. 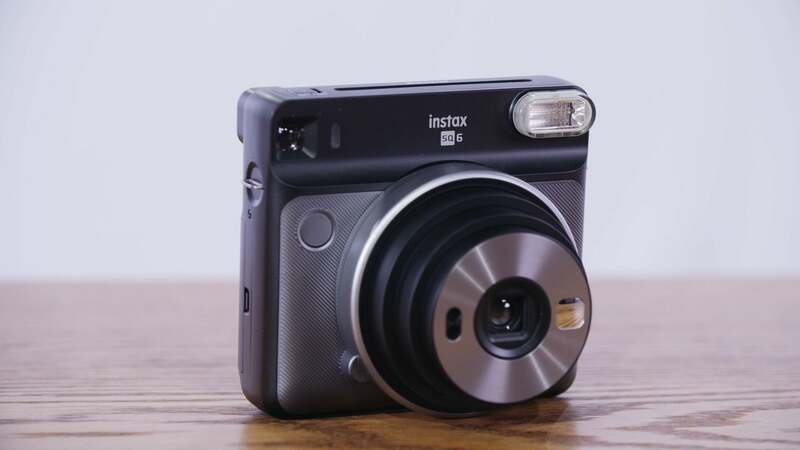 The Fujifilm did produce larger square format photos, but the Leica handily produced sharper, better-exposed photos on the smaller Instax Mini film. 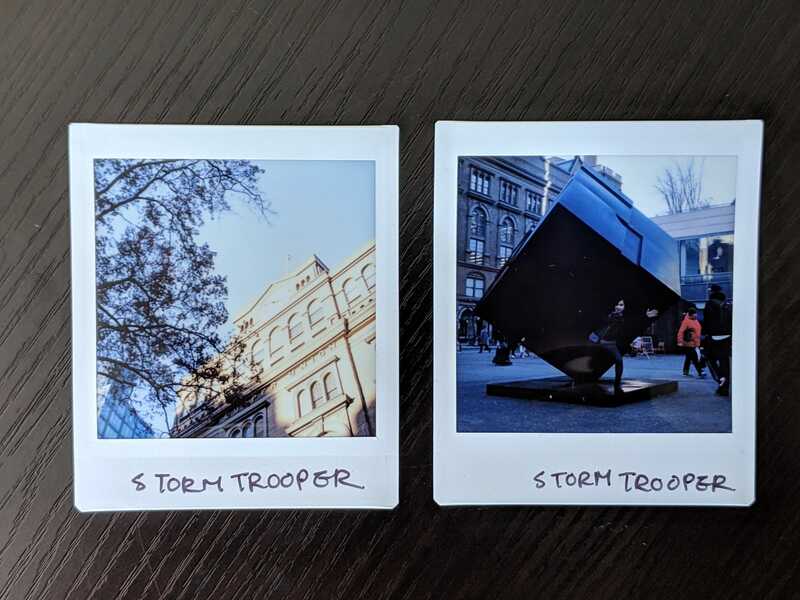 Understanding that choosing between the Instax Square and the Instax Mini formats could be a deal breaker for some, we’ve still got to give this battle to Leica for producing the best photos outdoors. Our final battle took us back inside where good lighting situations showed us which cameras excelled at pretty easy photos. After all, if the lighting is perfect, only the camera and the photographer can screw up the shot. We experienced both of these outcomes. Once again, the Polaroid just let us down. With little control over the focus and still unpredictable outcomes with the film, we just ended up with a bunch of crappy shots. It’s also worth pointing out here that, at around £1.88 per photo, the Polaroid i-Type film is the most expensive of the lot, and at 10 to 15 minutes per shot, it also takes the longest to develop. (Note: Polaroid i-Type film doesn’t work in vintage cameras.) Fujifilm Instax Mini film is as cheap as £0.77 per shot. Instax Square film is about £0.85 per shot. Anyways, this is all to say that it’s very disappointing to take a terrible photo with the new Polaroid camera because it’s not only a terrible photo but also expensive. The Lomo cameras seemed to perform a lot better indoors, although that characteristic vignette and the wonky colours were unavoidable. The extremely quirky designs of the cameras also meant that it was hard to figure out focus and framing. We eliminated these from the battle because the bad user experience and the unpredictable image quality left us feeling sad. That left us migrating back to our two favourite instant cameras: the Leica Sofort and the Fujifilm Instax Square SQ6. Because we weren’t shooting at infinity like we often were outside, the way that cameras dealt with focus was especially important indoors. The Leica is more sophisticated and has a little ring around the lens that you can twist to toggle between close-ups and wider shots. You only get the two options for the focus, but you do get six total options for picture mode. So that’s basically twelve different choices, which seemed confusing at first but over time, the options came in handy. The indoor photos taken with the Leica also looked terrific. 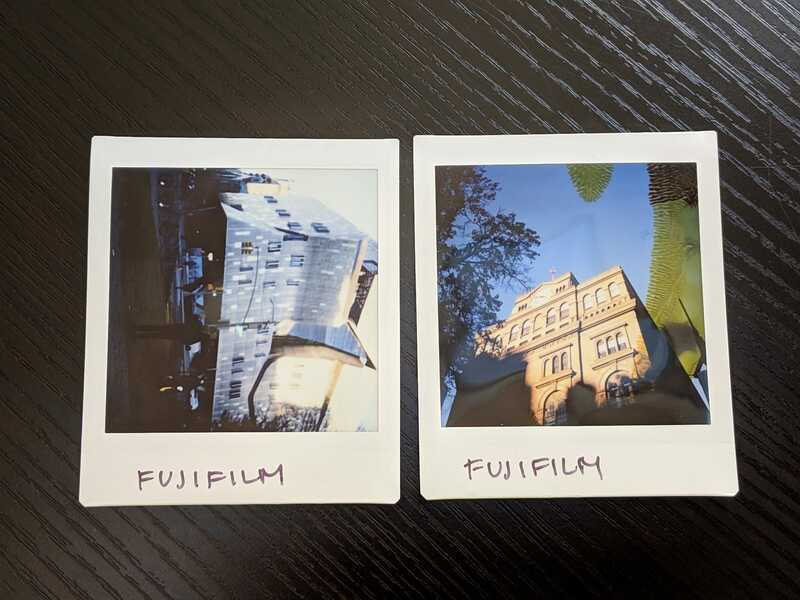 The Fujifilm still bowled us over by being so easy to use and producing consistently well-exposed photos. While it also has six photo modes to choose from, the Fujifilm also offers an automatic mode that lets you more or less point and shoot and forget about settings. This option didn’t always work perfectly, but the Fujifilm never let us down. The photos not only looked terrific, but they were also easy to take. 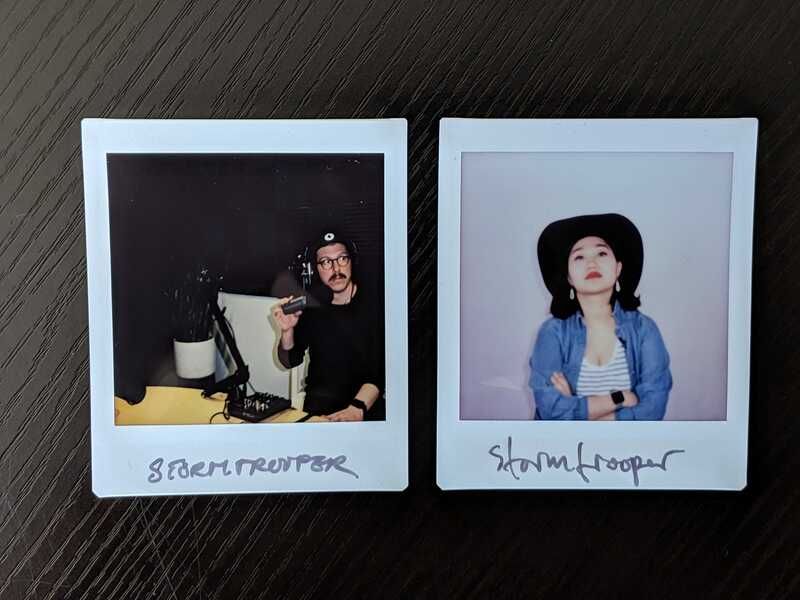 This battle isn’t necessarily for instant camera experts. The true aficionado might be interested in spending £300 on a MiNT Instant Flex or scouring eBay for vintage treasures. When we planned this feature, we wanted to find the best camera for most people. Some of you might be upgrading from a cheap Urban Outfitters purchase, or you might be getting your first instant camera since the Polaroid Land camera days. The best choice isn’t always the most expensive choice, either. That’s part of why the Fujifilm Instax Square SQ6 wins this Battlemodo. At £105, it happens to be the cheapest instant camera we tested, but in two out of three battles, it was also our favorite. To boot, it also uses the bigger Instax Square film, which is slightly smaller than a Polaroid photo but has the same dimensions. 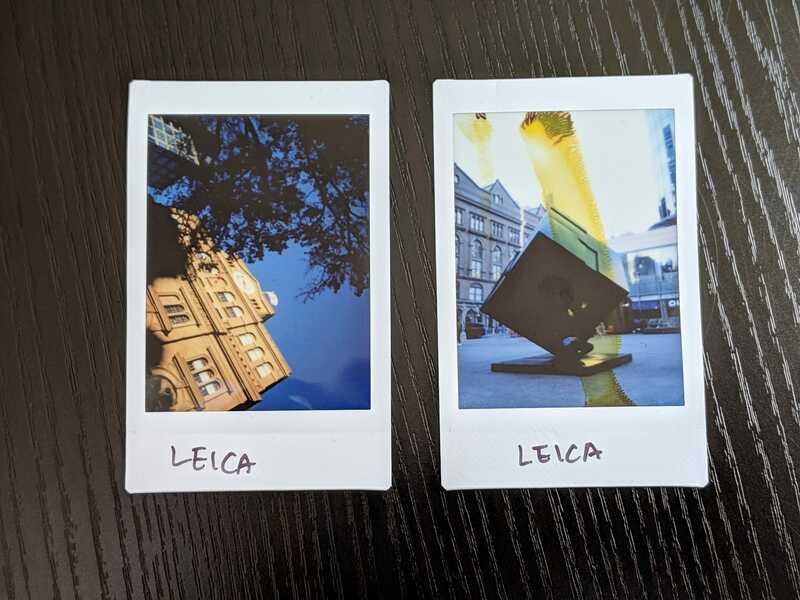 If you’re crazy about Instax Mini film and spending money, you should consider the Leica Sofort. It’s a pleasure to use, and at £275, it better be! But seriously, consider the more affordable Fujifilm Instax Square SQ6. You need to save your money for film, anyways.